• Democratic freedom is an engine of economic and human development, and scientific and technological advancement. 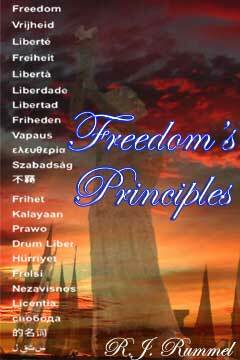 • Freedom ameliorates the problem of mass poverty. • Free people do not suffer from and never have had famines. • Free people have the least internal violence, turmoil, and political instability. • Free people do not make war on each other, and the greater the freedom within two nations, the less violence between them. Globalizing freedom is therefore a solution to war. • Power corrupts, impoverishes, and kills. This constellation of inter-connected truths sums up the democratic peace and the consequences of excessive power. Fostering freedom is then a moral, Kantian imperative, as well as a practical and realist solution to many of today’s most pressing problems, especially war, violence, democide, famine, and national impoverishment. I leave to my website the scholarly and scientific analyses establishing these iron laws of history. Here, I will use them to shed bright light on more light on what, how, and why of the democratic peace.